James (Jacobus) Roosevelt was born on 28 February 1692 at New York City, NY. He was the son of Nicholas Roosevelt and Heyltje Jans Kunst. [S95] Gary Boyd Roberts, Presidents 1995 Edition, Page 81. [S95] Gary Boyd Roberts, Presidents 1995 Edition, Page 57. [S95] Gary Boyd Roberts, Presidents 1995 Edition, Page 56. [S487] Dr. Thomas Boslooper, "Nutmegger 36:376 Thomas Gridley." Jonathan Gridley was born on 2 November 1690 at Farmington, Hartford Co., CT.2 He was the son of Thomas Gridley Jr. and Elizabeth Clark. Jonathan Gridley married Mary Pinney, daughter of Isaac Pinney and Sarah Clark, on 17 November 1711 at Farmington, Hartford Co., CT.2 Jonathan Gridley died on 16 November 1779 at probably Farmington, CT, at age 89. [S95] Gary Boyd Roberts, Presidents 1995 Edition, Page 111/Item 248. Child of Martha Adams and Jonathan Gridley Jr.
[S95] Gary Boyd Roberts, Presidents 1995 Edition, Page 109/Item 62. Elizabeth Ely Gridley was born on 16 June 1826 at Clinton, Oneida Co., NY.1 She was the daughter of Theodore Gridley and Amy Ely.2 Elizabeth Ely Gridley married George Shelden Butler, son of Daniel Butler and Elizabeth Comstock, on 24 April 1843 at Kenosha, WI.2 Elizabeth Ely Gridley died on 22 December 1921 at age 95. [S95] Gary Boyd Roberts, Presidents 1995 Edition, Page 108. George Shelden Butler was born on 1 July 1820 at Astor Courts, Rhinebeck, Dutchess Co., NY. He was the son of Daniel Butler and Elizabeth Comstock.1 George Shelden Butler married Elizabeth Ely Gridley, daughter of Theodore Gridley and Amy Ely, on 24 April 1843 at Kenosha, WI.2 George Shelden Butler died on 7 April 1907 at Kenosha, WI, at age 86. Amy Gridley Butler was born on 9 June 1848 at Clinton, Oneida Co., NY. She was the daughter of George Shelden Butler and Elizabeth Ely Gridley. Amy Gridley Butler married George Manney Ayer, son of John Varnum Ayer, on 15 September 1864 at Delavan, WI. Amy Gridley Butler died on 6 July 1916 at Harvard, McHenry Co., IL, at age 68. [S95] Gary Boyd Roberts, Presidents 1995 Edition, Page 107. George Manney Ayer was born in March 1840 at Kenosha, WI. He was the son of John Varnum Ayer.2 George Manney Ayer married Amy Gridley Butler, daughter of George Shelden Butler and Elizabeth Ely Gridley, on 15 September 1864 at Delavan, WI. George Manney Ayer died in 1914 at Delavan, WI. [S95] Gary Boyd Roberts, Presidents 1995 Edition, Page 107/Item 14. The history of pioneer development in Franklin county (Ohio) records the achievements of Isaac Griswodl, who became one of the earliest settlers of this part of the state and aided in transforming it from a wild and uninhabited region to a district of rich fertility. His labaors wre continued here for more than fifty years, covering the first half of the nineteenth century and he was therefore among those who laid broad and deep the foundation for the present development and progress of this part of the state. A native of Connecticut, he was baorn in Windsor, October 27, 1779, and there spent his early youth on a farm with his parents, Isaac and Christina (Holcomb) Griswold. he was of the third generation who had resided in Connecticut, the family having been founded there at an early period in the colonization of the new world. Isaac Griswold was born on 27 October 1779 at Windsor, Hartford Co., CT. He was the son of Isaac Griswold and Christina Holcombe. [S96] Unknown author History of Columbus, Ohio, Vol. I:Pg 765. [S116] Esther Griswold French and Robert Lewis French, Griswold, Page 122/Item 540. Oliver graduated at Yale College in 1747 and received a commission as captain in the army, in the French war. At the head of a company, which was raised by his own exertions, he proceeded to the defense of the northern frontiers, where he continued until the peace of Aix-la-Chapelle. At this time he returned to Connecticut, and commenced the study of medicine. He, however, never entered into the practice of the profession, in consequence of receiving the appointment of sheriff of the county of Litchfield, which was organized about the year 1751. In 1774 he was appointed an assistant in the council of the state. This may be considered as the commencement of his political career. To the office of assistant, he continued to be annually re-elected till 1786. In the interval, he was for some time chief judge of the court of common pleas for the county, and judge of the court of probate for the district of Litchfield. In the revolutionary contest, Mr. Wolcott was one of the strong pillars of the American cause. He inherited much of the independent feeling of the ancestor of the family. In 1776, he was summoned by his native state to represent it in the national congress in Philadelphia. He had the honor of participating in the deliberations of that body, on the Declaration of Independence, and of recording his vote in favor of its adoption, and of signing the final document. Immediately after the adoption of that instrument, he returned to Connecticut, and was now invested with the command of fourteen regiments of the state militia, which were raised for the defense of New York. In November, he resumed his seat in congress, and on the adjournment of that body to Baltimore, he accompanied them, and there spent the winter of 1777. In the ensuing summer, he was engaged in several military movements; after which, he joined the northern army, under General Gates, with a corps of several hundred volunteers, and assisted in the memorable defeat of the British army under General Burgoyne. From this period, until 1786, he was either in attendance upon congress, in the field in defense of his country, or, as a commissioner of Indian affairs for the northern department, he was assisting in settling the terms of peace with the six nations. In 1786 he was elected lieutenant governor, an office to which he was, annually elected for ten years, when he was raised to the chief magistracy of the state. This latter office, however, he enjoyed but a little time, death putting an end to his active and laborious life, on the first of December, 1797, in the 72nd year of his age. The life of Mr. Wolcott was extended beyond the common age of man, but it was well filled with honorable services for his country. He merited and received the confidence of his fellow citizens. In his person, he was tall, and had the appearance of great muscular strength., His manners wre dignified. He had great resolution of character, and might be said to be tenacious of his own opinions; yet he could surrender them, in view of evidence, and was ready to alter a course which he had prescribed for himself, when duty and propriety seemed to require it. [S110] Rev. Frederick Wallace Pyne Pyne' Register, Vol. I:Pg. 457/Item 1. [S132] Chandler Wolcott, The Family of Henry Wolcott, Page 79/Item XXXI. [S327] Robert Griffen and Mitchell Alegre, Wolcott Genealogy, Page 154. [S110] Rev. Frederick Wallace Pyne Pyne' Register, Page 648. [S110] Rev. Frederick Wallace Pyne Pyne' Register, Vol. 1, Second Edition, page 648. [S327] Robert Griffen and Mitchell Alegre, Wolcott Genealogy, Page 160. Laura Collins was born on 1 January 1731 or 1732 at Guilford, New Haven Co., CT. She married Gov. 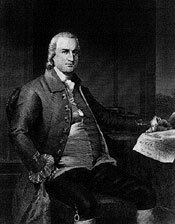 Oliver Wolcott, son of Gov. Roger Wolcott and Sarah Drake, on 21 January 1755 at Guilford, New Haven Co., CT.1,2 Laura Collins died on 19 April 1794 at Litchfield, Litchfield Co., CT. Famous tory. Rev. Roger Viets was born on 9 March 1738 at Newgate, Simsbury, CT. He was the son of Capt. John Viets and Lois Phelps. Rev. Roger Viets witnessed the marriage of Benajah Holcombe II and Lydia Forward on 5 August 1763 at Belchertown, Hampshire Co., MA; Marriage was recorded in Simsbury.1 Rev. Roger Viets witnessed the baptism of Lt. Benjah Philo Holcombe on 16 September 1764. Rev. Roger Viets witnessed the baptism of Alexander Viets Griswold on 25 May 1766. Rev. Roger Viets witnessed the marriage of Amasa Case and Elizabeth Phelps on 5 August 1766 at Simsbury, Hartford Co., CT.2 James Hillyer IV married Ruth Holcombe, daughter of Nathaniel Holcombe IV and Margaret Cossett, on 2 February 1769 at St. Ann's Episcopal Chruch, Granby, Hartford Co., CT.3 Rev. Roger Viets witnessed the baptism of Roger Griswold on 23 April 1772 at Turkey Hills, Hartford Co., CT.4 Rev. Roger Viets witnessed the baptism of Charles Case III on 22 January 1775 at St. Andrew's Episcopal Church, Simsbury, Hartford Co., CT. Rev. Roger Viets witnessed the marriage of Abel Holcombe and Elizabeth Pinney on 1 April 1779. Rev. Roger Viets witnessed the marriage of Elisha Griswold Jr. and Arispha Mitchelson on 14 May 1787 at Scotland (now Bloommfield), CT.5 Anna Holcombe married Dr. Horace Melancton Hillyer, son of Asa Hillyer and Rhoda Smith, on 22 September 1796 at First Congregational Church, Granby, Hartford Co., CT.6,7 Rev. Roger Viets died on 15 August 1811 at Digby, Nova Scotia, Canada, at age 73. [S45] Albert C. Bates, Simsbury, Page 197. [S208] Dorothy Dean Viets Schell, Viets, Page 19. [S208] Dorothy Dean Viets Schell, Viets, Page 27. [S208] Dorothy Dean Viets Schell, Viets, Page 25. [S546] Hillyer G. Norment, John Hillyer, Page 136. [S45] Albert C. Bates, Simsbury, Page 33. [S25] Hannah McPherson, Holcombe Genealogy, Page 221.2. Nathan Gillett was born on 29 September 1755 at Simsbury, Hartford Co., CT.1 He was the son of Zaccheus Gillett and Ruth Phelps. Nathan Gillett married Lucy Harrison. [S414] Hon. Horace L. Moore, Andrew Moore, Page 24. Lucy Harrison married Nathan Gillett, son of Zaccheus Gillett and Ruth Phelps. Charlotte Gillett was born on 6 September 1807. She was the daughter of Nathan Gillett Jr. and Abigail Wolcott. Charlotte Gillett married Elijah Mason, son of Col. James Mason, on 8 January 1828 at Preston, Chenango Co., NY. Information from "History of Torrington, CT" 1878 by Rev. Samuel Orcutt, provided by Al Dawson. [S570] Chris Augustine, "Adolph Stelzer," e-mail to James H. Holcombe Jr., 6 August 2005. Elijah Mason was born on 7 May 1794 at Lebanon, New London Co., CT. He was the son of Col. James Mason. Elijah Mason married Charlotte Gillett, daughter of Nathan Gillett Jr. and Abigail Wolcott, on 8 January 1828 at Preston, Chenango Co., NY. Elijah Mason died on 15 September 1867 at Canton, Stark Co., OH, at age 73. Elijah and Charlotte were enumerated in the 1850 Tallmadge, Summit Co., OH, federal census. He was a postmaster, age 56, she was 43. Children in the household were William B. 15, Frances 12, Nathan, 7, Arthur 5, and Augustus 3. Milton Mason, lifelong Akron resident and veteran of the Civli War, died at the home of his daughter, Mrs. A. J. Stelzer, 1086 N. Howard St., Thursday of exhaustion. He was 78 years of age. He was born in Middlebury, now East Akron. His parents, early settlers of that place, came here from Connecticut and his father was the first postmaster at Middlebury. Mr. Mason's mother died when he was a child and his father became blind. The child was taken to the home of an uncle where he lived for several years until the uncle joined the ruxh for the California gold fields. Mr. and Mrs. Solomon Oviat (sic) of Twinsburg, took him to their home where he was reared. When the Civil War was declared he enlisted in the 41st Ohio Infantry and served four years. At the battle of Chickamauga he was wounded in the hand and was crippled for life. At the close of the war he returned to Twinsburg where he married Miss (JANE) Jennie Springer, another sorphan raised on the Oviat [sic] farm. The couple moved to Akron shortly after the wedding and lived here since that time. Mrs. Mason died abaout 30 years ago and Mr. Mason made his home with Mrs. Stelzer. He devoted most of this life to engineering but retired from that business a few years after his wife's death. He was a member of Buckley Post, G.A.R. [Grand Army of the Republic]. he leaves three children, Mrs. Stelzer, Mrs. Charles Isbell, 1082 N. Howard St. and Frank [sic] Mason of St. Marys. He also leaves nine grandchildren and one great-grandchild and one sister, Mrs. H. W. Werts of Canton. Funeral services will be held at the home of Mrs. Stelzer at 2 p.m. Saturday. They will be private. Burial will be made at the East Akron Cemetery. Henry Werts Mason was born on 29 August 1895 at Akron, Summit Co., OH. He was the son of Frederick Beaumont Mason and Margaret Ida Creighton.1 Henry Werts Mason married Dorothy Marie Pounds in July 1921 at Detroit, MI. Henry Werts Mason died on 16 April 1978 at Bradenton, FL, at age 82. He was buried at Manasota Cemetery, Bradenton, FL. 2nd Lt. in the U.s. Army in France WW I. He owned the Mason Brick Company in Detroit. Jane Springer married Milton Arthur Mason, son of Elijah Mason and Charlotte Gillett, circa 1866. Mildred Alice Mason was the daughter of Milton Arthur Mason and Jane Springer. Mildred Alice Mason married Charles Henry Isbell, son of Israel Isbell IV and Eliza Huff Springer, on 13 August 1908 at Akron, Summit Co., OH. Mildren A. was enumerated in the 1910 Akron, Summit Co., OH, federal census. She was in the household of her brother-in-law, Adolph J. Stelzer. Charles was not in the household. Charles and Mildred were enumerated in the 1920 Akron, Summit Co. OH, federal census. He was an attorney age 45, she was 42. They were living next door to Adolph and Edith Stelzer. Charles and Mildred were enumerated in the 1930 Akron Summit Co., OH, federal census. He was an attorney, age 53, she was 52. There were no childlren in the household. They were next door to Adolph and Edith Stelzer. Charles Henry Isbell was born on 1 September 1874. He was the son of Israel Isbell IV and Eliza Huff Springer. Charles Henry Isbell married Mildred Alice Mason, daughter of Milton Arthur Mason and Jane Springer, on 13 August 1908 at Akron, Summit Co., OH. Edith Mason was the daughter of Milton Arthur Mason and Jane Springer. Edith Mason married Adolph Jacob Stelzer. Adolph Jacob Stelzer married Edith Mason, daughter of Milton Arthur Mason and Jane Springer. [S182] Social Security Death Index (on-line), Ancestry.com, SSDI, Ancestry.com, SSAN 261-43-9266. Freedom Buell was born on 23 February 1729 at Lebanon, Windham (now New London) Co., CT.1 She was the daughter of John Buell Jr. and Freedom Strong. Freedom Buell married Jonathan Edgerton on 31 October 1751 at Sommers, Windham (now New London) Co., CT.1 Freedom Buell died on 22 July 1771 at Simsbury, Hartford Co., CT, at age 42. [S810] Edwin W. Strickland II, William Buell, 1-8, page 49. Jonathan Edgerton was born on 24 August 1726 at Norwich, New London Co., CT. He married Freedom Buell, daughter of John Buell Jr. and Freedom Strong, on 31 October 1751 at Sommers, Windham (now New London) Co., CT.1 Jonathan Edgerton died on 11 November 1796 at age 70.